During PAX East 2017, Frostkeep Studios (a team composed of former World of Warcraft and League of Legends developers) announced Rend, a survival multiplayer game that promises to challenge a lot of the genre’s conventions. 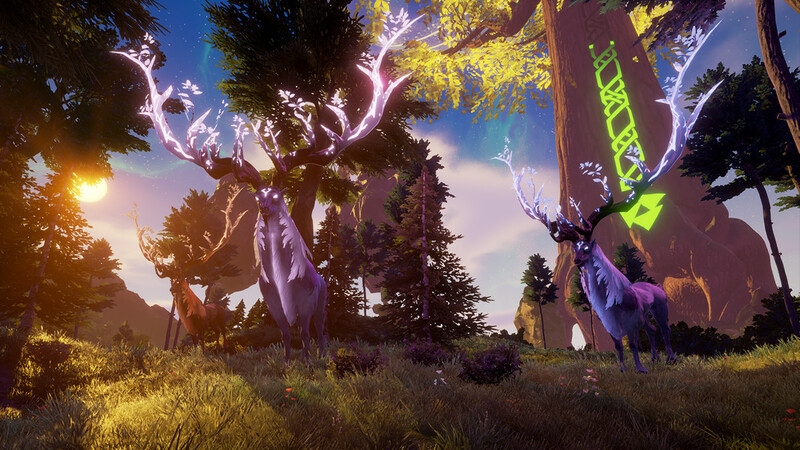 With our first game Rend, we are delivering on the fantasy players expect from a survival game while also challenging the traditional mold by introducing new experiences and solving many of the genre’s accepted player pain points. Our team has been fortunate to work at many of the industry’s leading studios throughout our careers so we have learned valuable key lessons along the way that we are now applying to our studio’s development philosophy and game making process. To begin with, Rend will be faction-based. Players will choose one of three factions (Order, Conclave and Revenant) who are at constant war with each other, but also with an army of demons called the Lost Ones. The factions will vie to collect the highest number of Souls, which can be done either by harvesting, gathering and crafting or just killing stuff. Adventurers may venture into the harsh world’s environments in search of powerful artifacts that may turn the tide for their faction. However, there will also be a weekly event when each faction’s base defenses will be open for attacks from both enemy players and creatures, potentially leading to massive battles. After a winning faction is declared (or all factions are wiped off the server, which is also a possibility), all players who participated in the war receive meta-progression points that can be then spent to unlock both customization and progression options. Some of the roles you’ll find in the game are Assassin, Survivalist, Soldier and Mystic, all of which are customizable further thanks to a talent and skill system. Rend will launch on Steam Early Access later this Spring, but you can get a first glimpse of its gameplay in the trailer below. Frostkeep plans to launch the full game after 6-12 months.